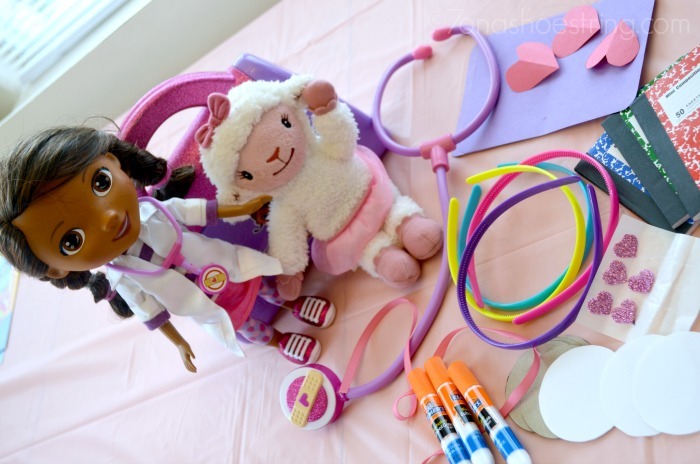 Considering how much she and her sisters enjoy Doc McStuffins, we decided to have a party centered around the Doc and Lambie. We really tried to have a little fun with the theme. I mean, it wasn’t hard! It’s Disney Junior after all. Everything about it is fun! 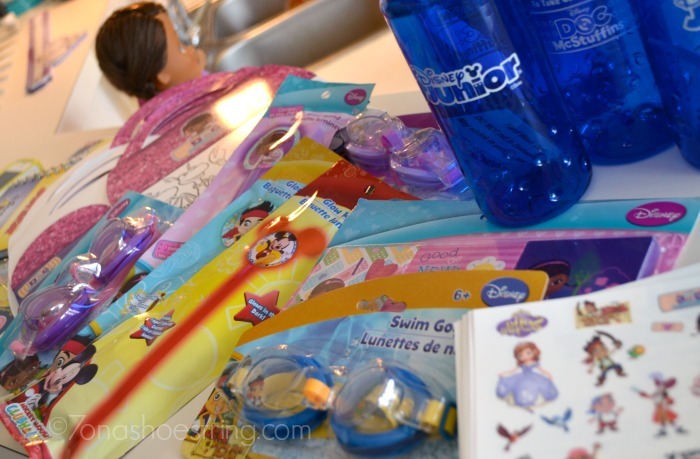 Finding Disney Junior themed treats for our guests was also not a difficult task. I had to keep the girls controlled or else we would be sending their friends home with large tots size bags of fun. Our party budget was already busting at the seams but we wanted to get everything. Alas, I had the girls pick their favorites and we went from there. 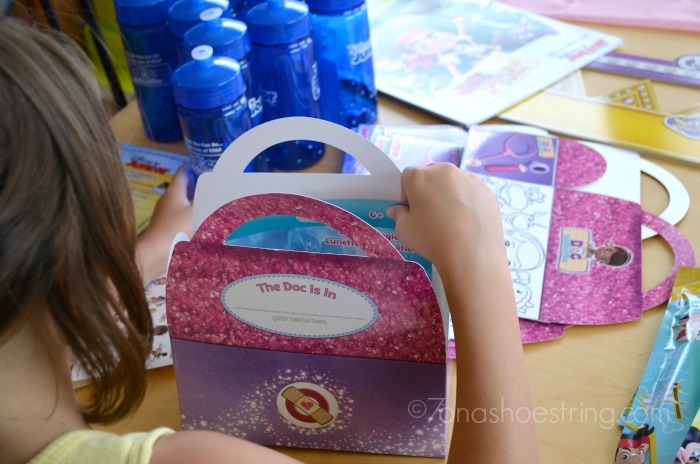 Packing the fabulous Doc McStuffins doctor bag was actually exciting for the girls. They could not wait to show their friends all the cool stuff they had for them. I love knowing they get delight out of giving. That makes it so much better for me, personally. Being able to give. And hopefully the guests have as much with their treats as we did putting them together. I have no doubt. We tried to have a little fun with the food. 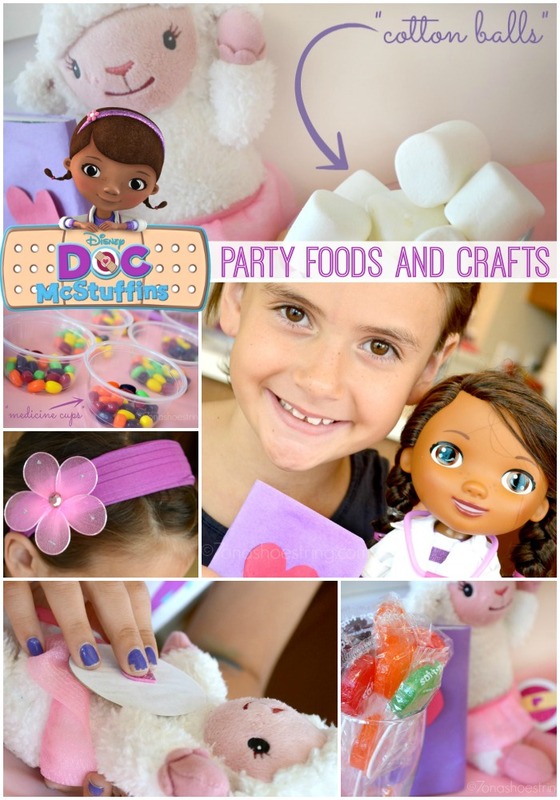 Jaden and Jaci helped me brainstorm fun ways to imitate a doctor’s area with food. Therefore, we had a different selection of snack foods than normal, but that kids love nonetheless. For instance, every doctor uses cotton balls, right? 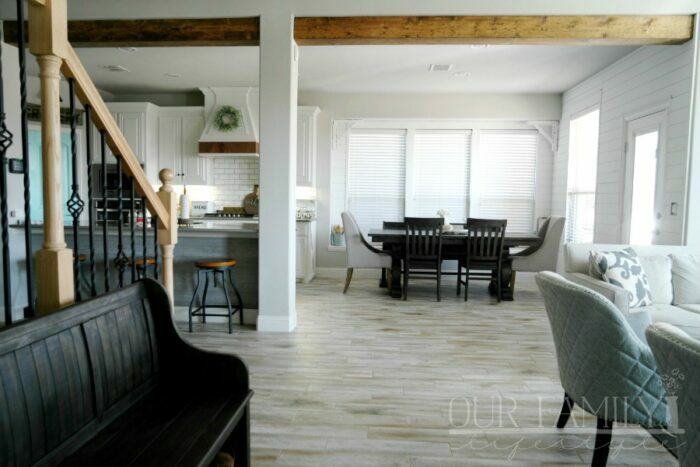 Our first thought? Big fluffy marshmallows! Yum! 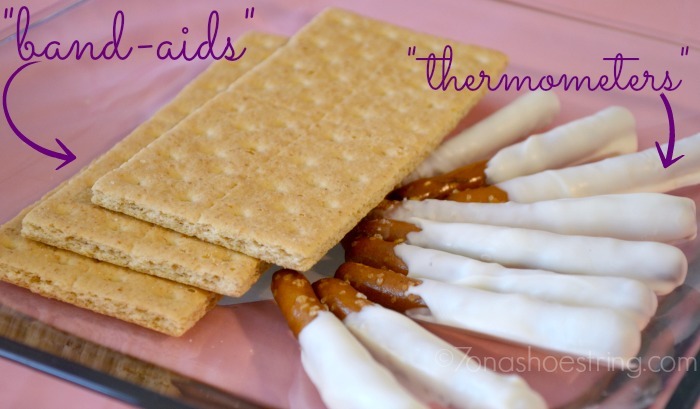 Jaden decided graham crackers would make the perfect side to the marshmallows… as well as serve as band-aids for our little doctors. And next to them, well, Colby’s attempt at thermometers. (Everyone was so willing to help). White chocolate dipped pretzels. They were delicious! Bonus? If you have a steady hand to draw the lines of a thermometer on the pretzels… PERFECT! We simply did not. Boo. 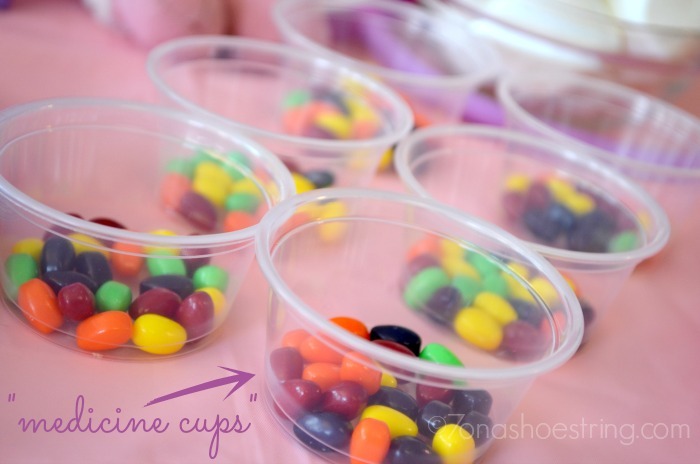 Of course, we needed a plan for those diagnoses that cuddles alone couldn’t fix, so we made sure to set out medicine cups. 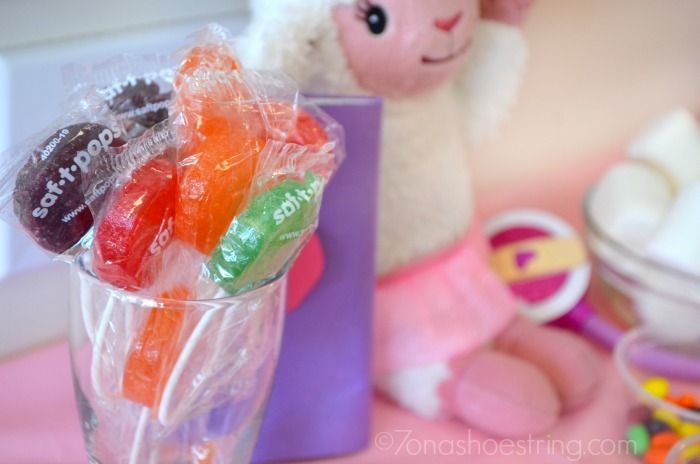 You never know when a guest might need a little “candy” pick me up. And every good doctor hands out lollipops to their patients after a visit, right? 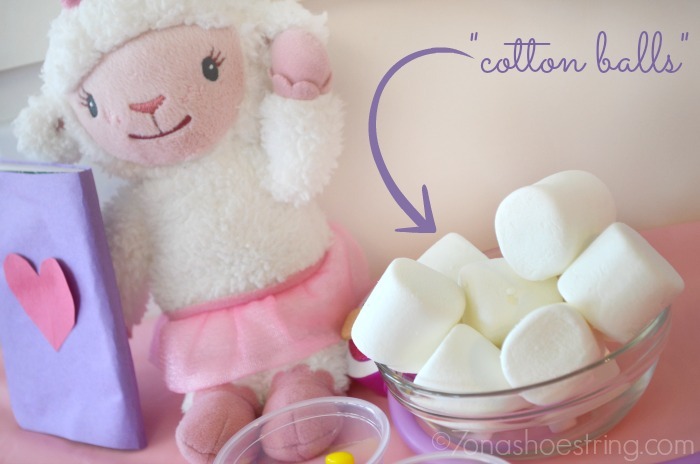 Lambie made sure to give each guest one after they finished their visit to the doctor’s area. 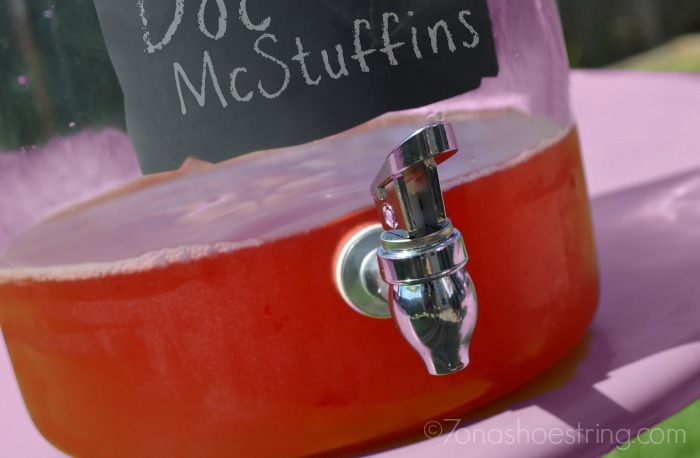 Considering the patients may have had to get a few shots or give a little blood to the doctor for a diagnosis, we may sure to have, well… Fruit Punch on hand to replenish what they may have lost. Ha! We also included a cold, frothy drink to keep us cool as we partied: Raspberry Lemonade Ice Cream Floats! For party day we called it, Lambie Lemonade. Delicious and perfect for a warm day! 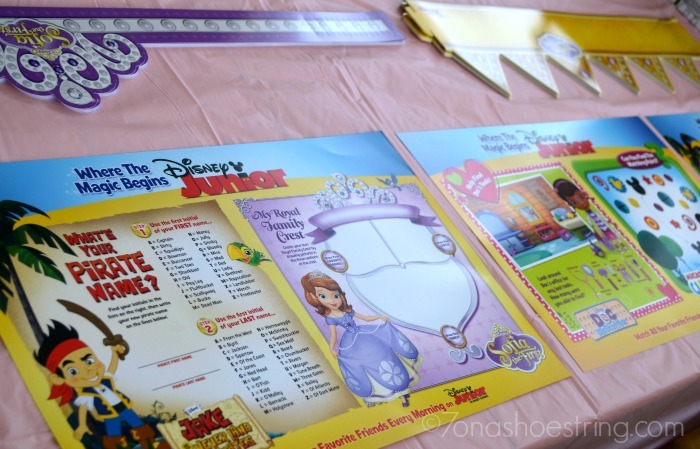 While the kids were waiting, they not only had the great Disney Junior place mats to keep them entertained, but they could also work on a couple crafts. First, every little doctor needs a stethoscope. We pre-cut cardboard (using empty cereal boxes) circles, matching white paper circles, and ribbon to use to construct our doctor’s tool. Next, we picked up inexpensive packages of headbands, glue sticks, and small glitter hearts and had all we needed. 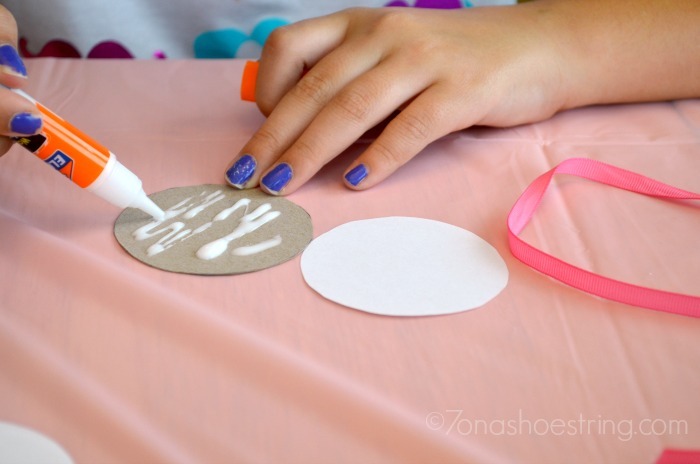 Simply glue the white circle to the cardboard circle. Put your glitter heart in the middle. Tie the ribbon to the headband. Glue the ribbon to the back of your finished chest-piece. That’s it! 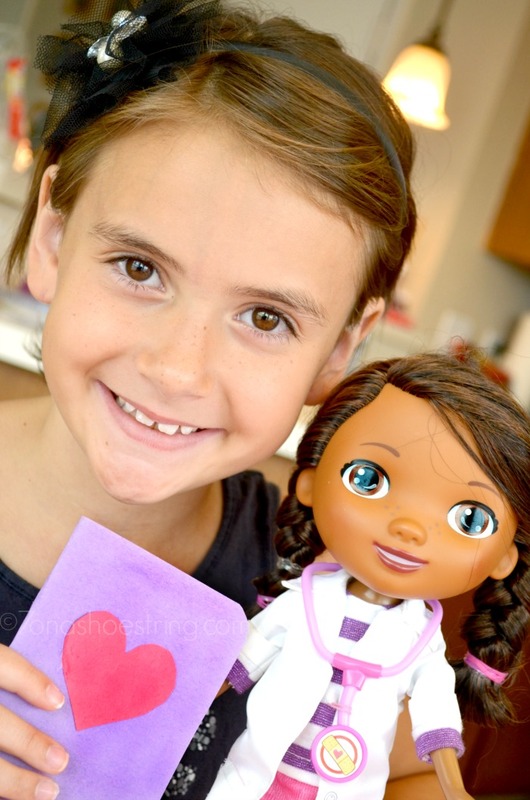 You are ready to listen to your patients’ hearts! Upon looking over your patient, you are typically ready to look in your Big Book of Boo Boos to help make a diagnosis. So, we made one of those too! 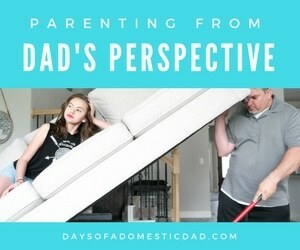 Again, super easy for the kids to do without much supervision. We pre-cut purple squares that, again, I pre-measured using the small composition books we found. A few red hearts (I couldn’t find the shade of pink I liked) and this craft was ready to go. 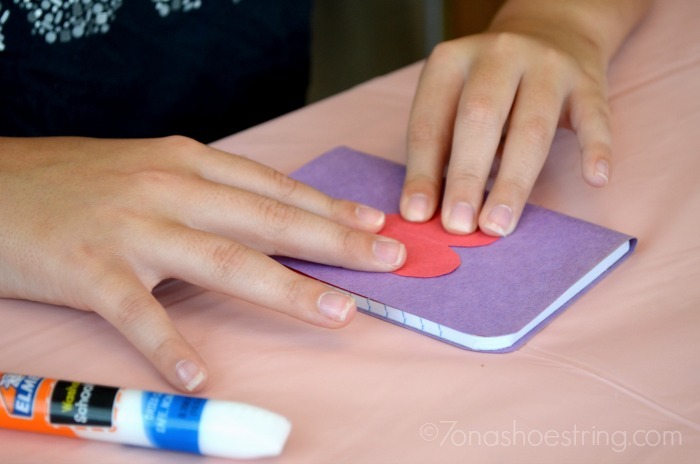 Pink foam glitter hearts were our first choice for this craft, but it seemed all of our local stores were out. Much easier then cutting out 25+ hearts though if you can find them! 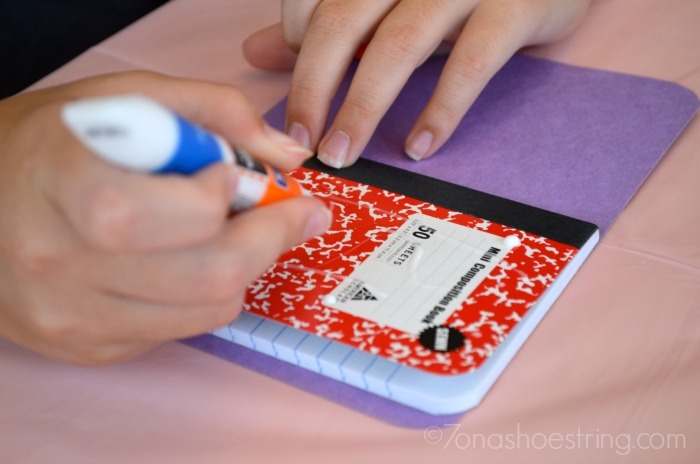 Simply take a composition book, glue the purple construction paper to the outside, and stick the heart in the middle. Done and ready to diagnose. Oh! Before the party we did do one more super quick and easy craft. 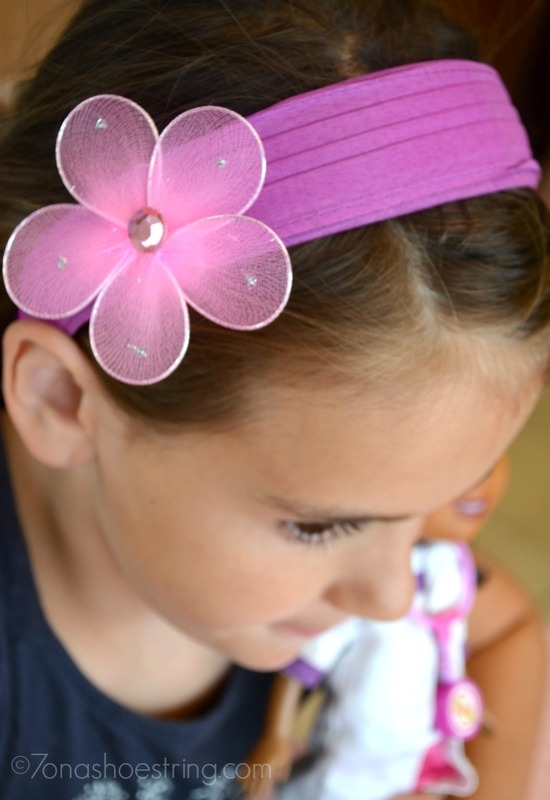 Jaci wanted a headband just like Doc McStuffins. 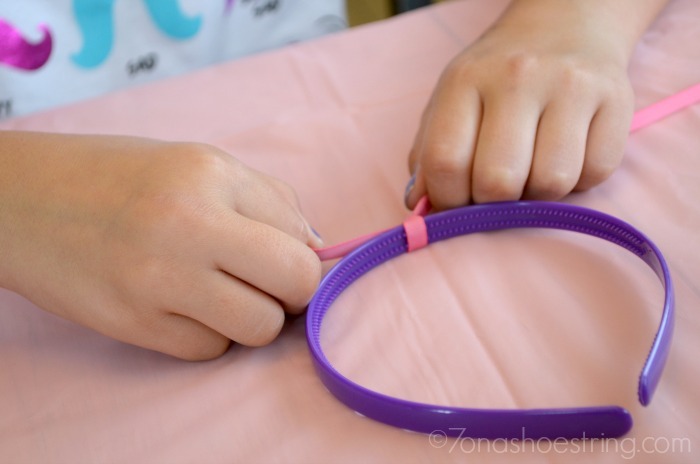 We found a wide purple headband and pink tulle flower embellishments at the craft store. 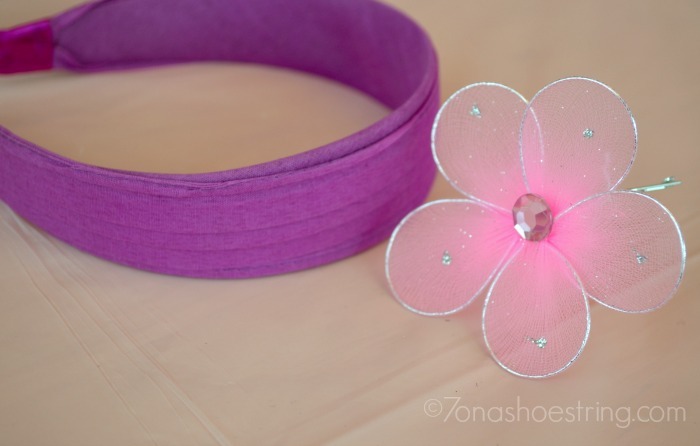 Then we very easily adhered the flower to the headband and Voila! A Doc McStuffin headband! She loved it! I do believe the girls and their guests had a fabulous time.